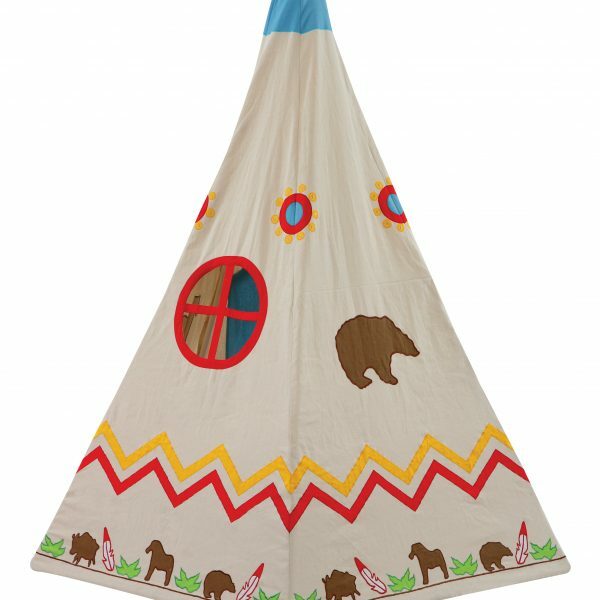 This 100% Cotton Wild West Wigwam has a natural cotton canvas background featuring a blazing golden sun on the front. 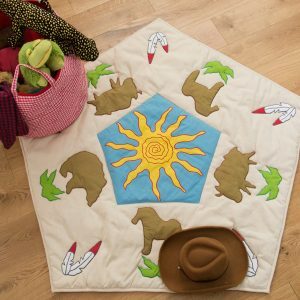 Horse, buffalo and bear appliqué motifs are featured on each side. Tufts of grass, red and white feathers and a colourful zigzag pattern add authenticity. The fresh, bright blue door can be tied back to allow easy access whilst the round window provides the perfect lookout! 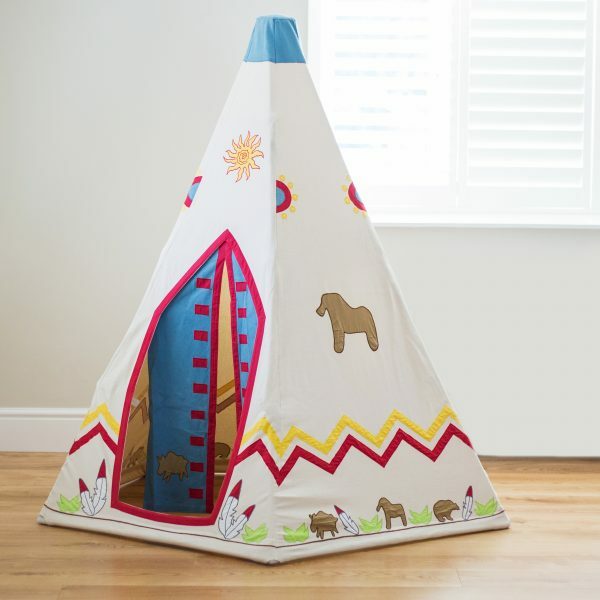 Personalise the tipi, to make it extra special, with your child’s name or a phrase of your choice, beautifully embroidered on to the door, for example OLIVER’S DEN, OLIVER, OLIVER’S HIDEOUT. 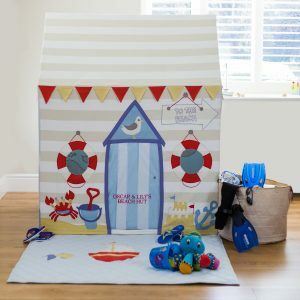 A co-ordinating floor quilt and toy baskets are also available to complete the look. Comes in own carry storage bag. 10 minute adult assembly. 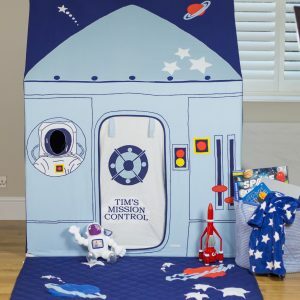 Click here to watch our videos How to Assemble a Kiddiewinkles Playhouse and here’s a fun version! The girls show you how it’s done! 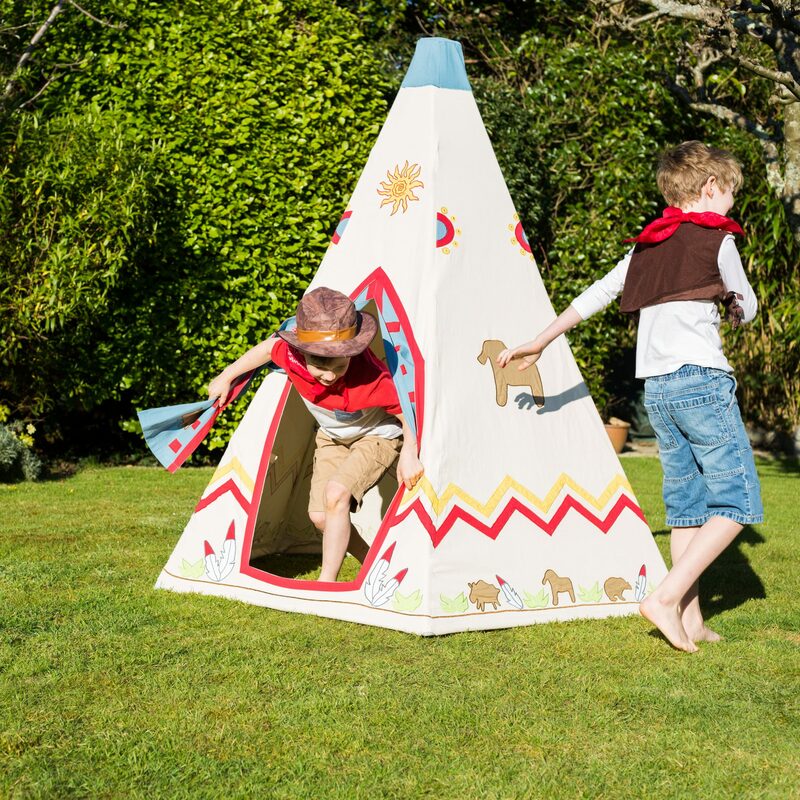 Cartwheels are optional and chocolate lab not included with your purchase!! 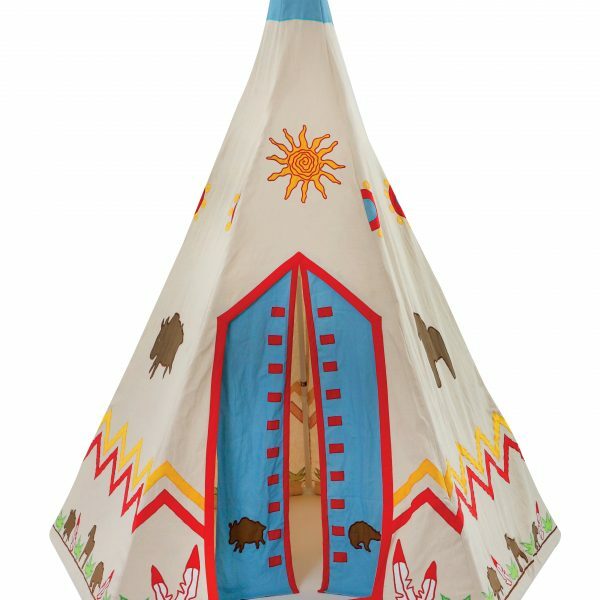 The Wigwam is constructed in a similar way to this! 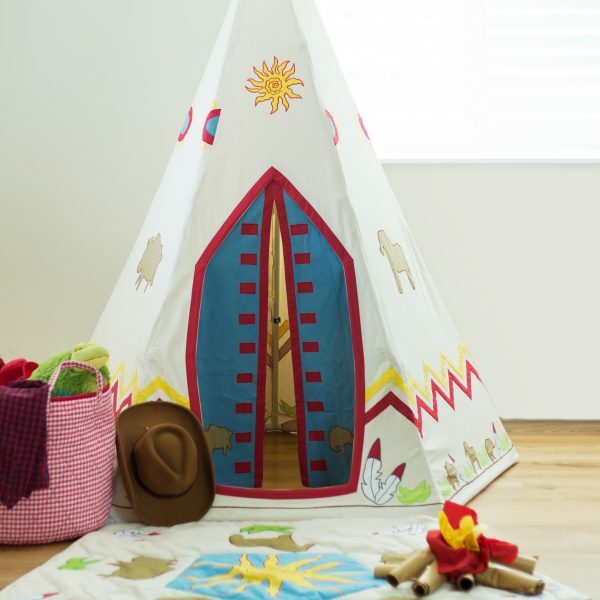 Please contact us if you would like a free swatch sample of the wild west wigwam fabric. You will be able to feel the thickness of the heavyweight cotton we use, see the level of embroidery detail and the actual colours. 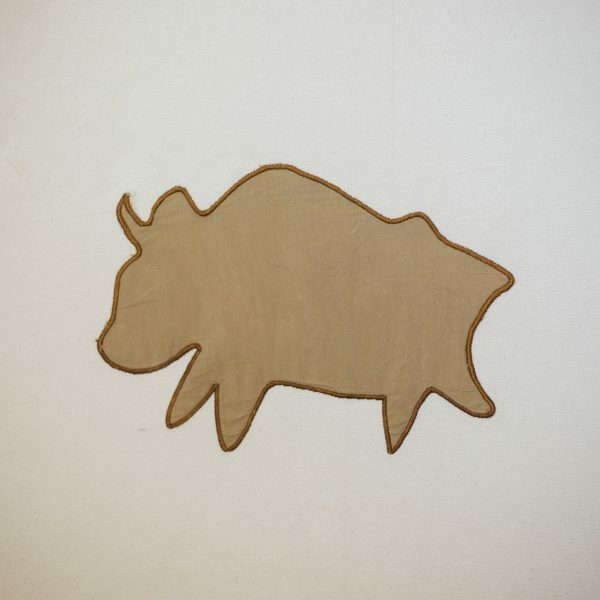 Don’t forget to include your address in the form and we will get your swatch on its way to you. 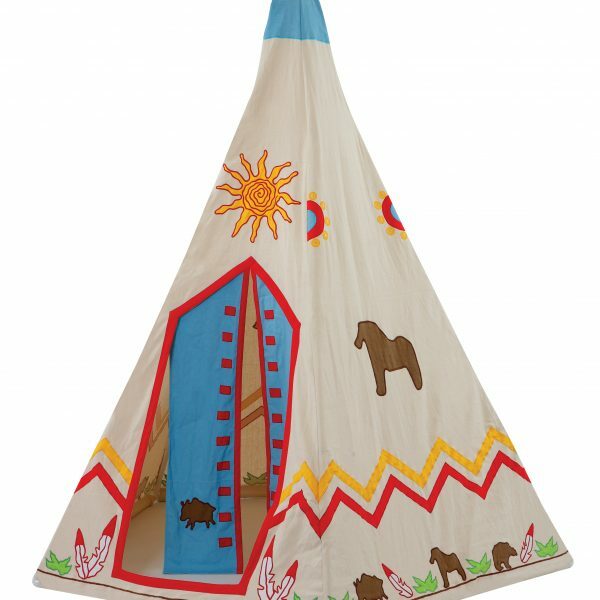 Beautiful hand embroidered and appliquéd design details are featured on all four sides of the tipi making it a stunning toy from every angle. 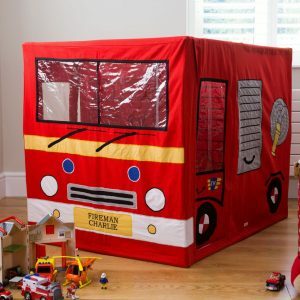 This product is available in one size only.